a long awaited moment: I hold my first book in my hands! When I arrived to the office today, Saira said she had a little surprise for me. She handed me a bright red bag with polka dot tissue paper. The office cat jumped up on the table to see. 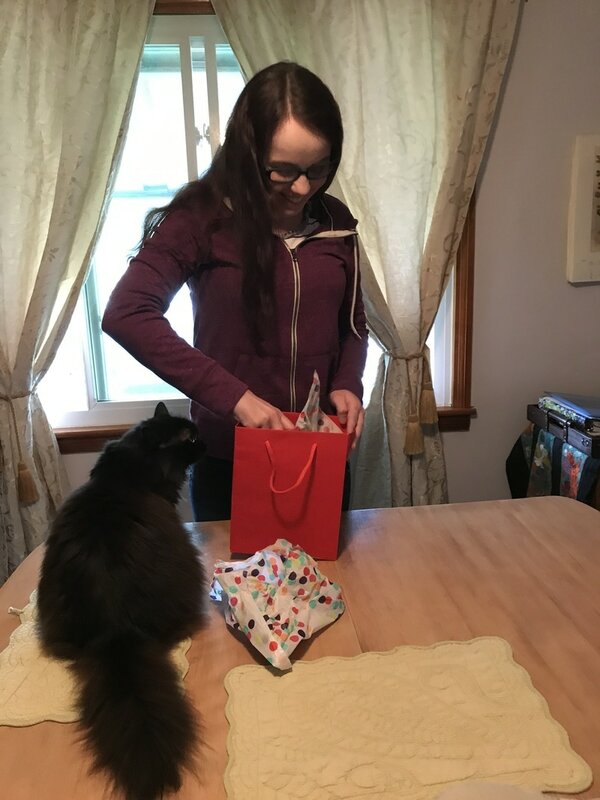 I could not wait to see what was inside. I didn't know Saira was recording a video. How embarrassing! I was too excited to care. Here it was! I was holding in my hands my very own book which I wrote and illustrated. A dream come true! Thank you very much for joining me on my journey! I wish you good luck on yours too. As promised, Saira at Niche Publishing & Marketing brought out the book in me! If I can do it, so can you! Finally. it was time to put the finishing touches on my book. We read the text eight or nine times and tweaked some words here and there, corrected any errors we saw. Made sure all the pages were aligned. My favorite part was getting to add the different backgrounds on my text pages. They even had a little bone I could put on my dog page! Suddenly, there it was! All right in front of me! My whole book! I squealed. I giggled. I fidgeted in my seat. Saira just watched and laughed. She knew exactly how it felt and she was letting me have my moment. We had to finally push "Submit Order." That was it! I had written and illustrated my first children's book. I had to remind myself I was still only in high school. I was so thrilled, my tummy just kept flipping. ​Now the long wait for when the book arrives in my hand! Saira introduced me to an app that let me add artistic effects to my drawings. I was able to make some adjustments directly on my iPhone. Below is what my cover looked like after the effects I chose. I am so proud of it! 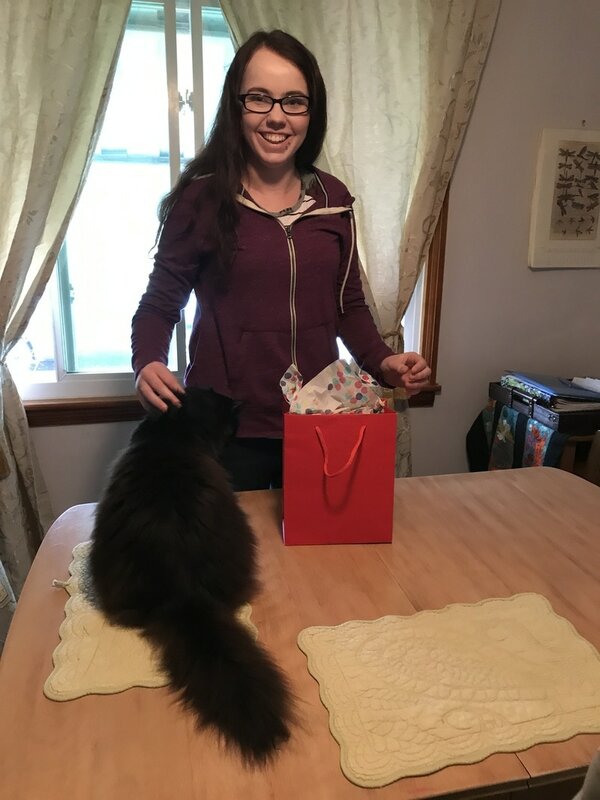 ​It was also time to start moving my story and pictures to some book form. That took us to the computer and learning more software. As a first draft, before going into full publishing and production, Saira suggested we use an online bookmaking company. 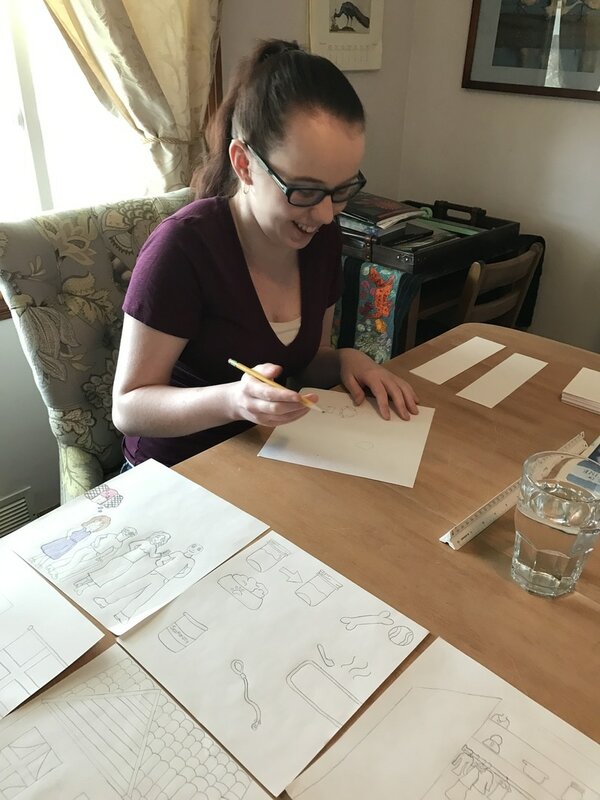 She taught me the basics and then it was up to me to design the layout, enter my story, and add my illustrations. Thank goodness for all the technology and cool tools we have available to us, we were able to do it without all the work that books used to take by hand in the past. I was getting so close to seeing the end product, I was thrilled with this part of the process, especially now that the drawing part was done! One thing about being self published is that, unless you outsource, you are also your own illustrator, editor, and worst critic. The part that I have been so nervous and anxious about was coming, the drawings, even though I wanted to do my own. 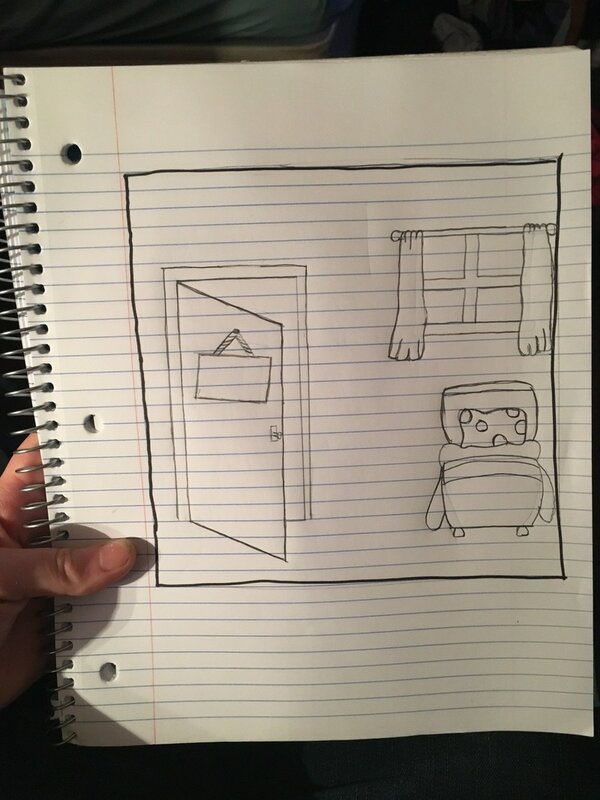 How can I draw something that children will want to look at? That's the thing, I'm drawing for children. They are not judgmental. As long as the pictures are colorful and make sense with the book. This process was difficult for me because I had to let go of the idea of perfection. I had to remember that I wasn't drawing for everyone, I was drawing for children. I also had to learn how to give myself credit. I was stepping out of my comfort zone. Here are some pictures of my process through drawing. DAY SIX: Creating the Cover. Before I started creating the cover, Saira and I had a lot of discussions. When we both talked about our idea for the cover, we described the same thing! Now, I had to put it on paper. This is all I had at first. So we decided to try a creative activity to get my cover going. We used loose construction paper, scissors with different cutting edges, and glue. This gave me a way to add in color without having to erase it on my design if I didn't like it. I added a dresser. Obviously this isn't the final project but it lead me to the following beauty! I felt pressure to come up with something creative and catchy. Something that no one else has ever done before. Such a simple task ended up taking days. The title. How could I get someone to pick up my book just by the title? I tried to make my book sound more than it was. I wanted the title to be so extravagant that I had forgotten my audience. I asked Kevin, my school Mentor, for help. "How about 'The Zoo Behind Closed Doors'?" Instantly, I was happy. I thought that sounded so extravagant. As I soon I saw Saira the next time, I quickly, told her. Saira pondered it for a minute before responding. "I like that title. I want it to be more true to yourself, to your book, and especially, true to your story. 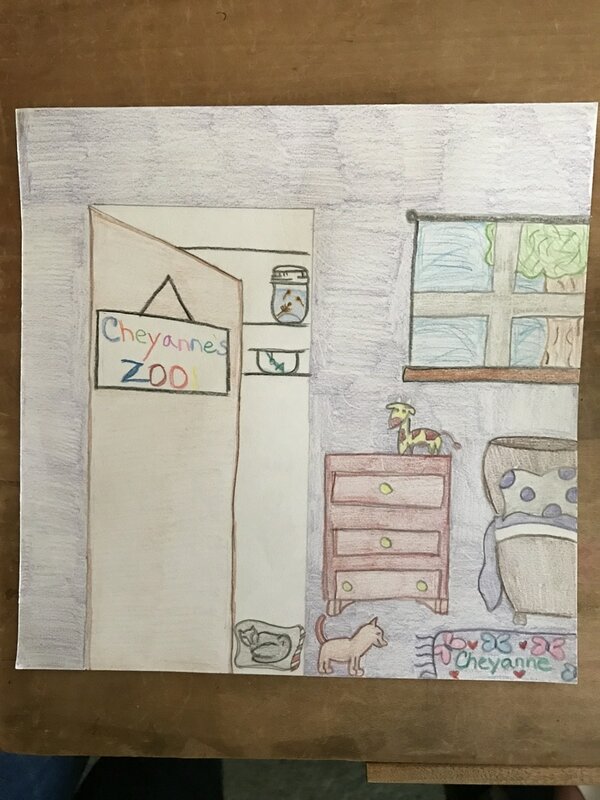 It can be something simple like Cheyanne's Zoo." I needed to hear that. I felt a lot of pressure with coming up with a title that would interest everyone. I forgot, my book isn't for everyone. I had to accept that was okay. You can't please everyone. In the end, ultimately I need to be happy with my product. The title stuck and I'm so happy it did. "You come up with how many pages you would like in your book. Draw them out. 2 pages side by side. Then you can either bullet point what you want on each page or draw and write them out. 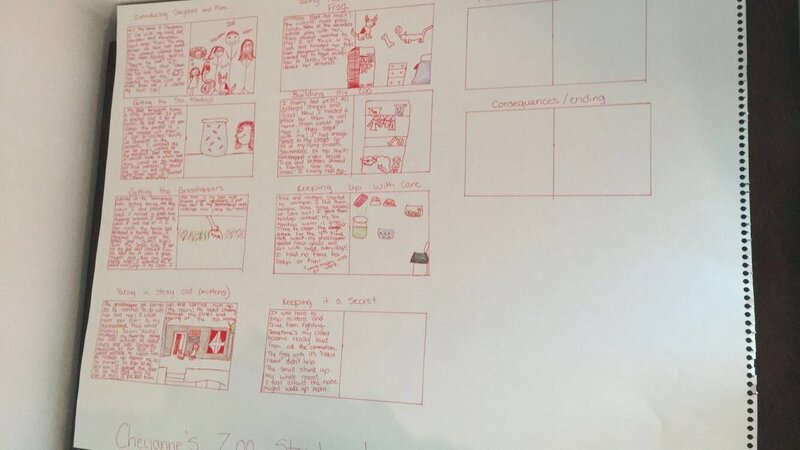 Drawing and writing them out might be easier to do, so you have an idea on what the book will look like." "You can't compare your book to others. This is your story. You get to decide how you want it to look. This is practice. Let go of society's idea of perfection and enjoy what you do." At first, that was so hard for me. 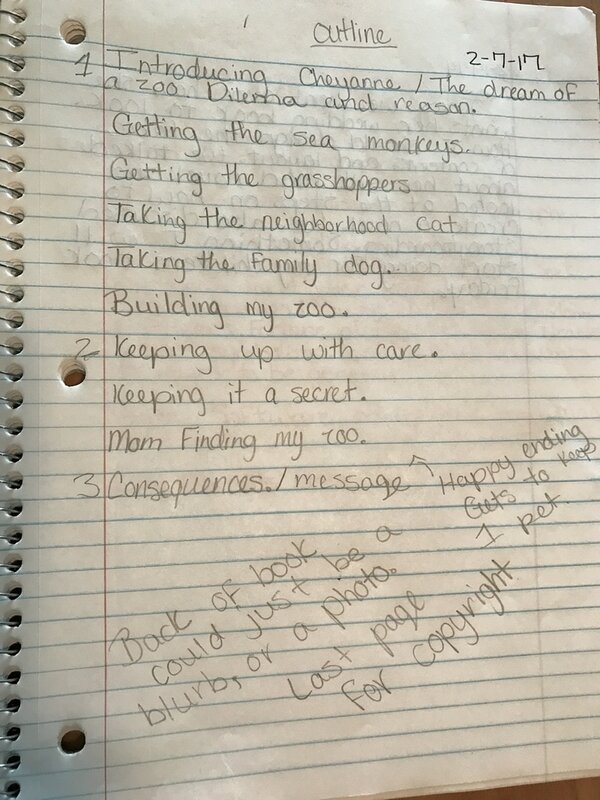 I wanted my book to be something I could be proud of. Then I realized, this IS something I can be proud of! I stepped outside my comfort zone in order to deliver a message to the next generation and discover something about myself. I can be creative, and so can you! DAY THREE: The outline that started it all. The first step you learn in writing is creating a solid outline. Saira helped me by describing what every children's book needs. It needs to send across a message. Not just once, preferably three times. A children's book should be short and sweet to keep their attention. You have to always keep your audience in mind. A children's book should have a happy ending. We want to try to teach them consequences but also keep their innocence. We started the outline with those concepts in mind. Then, we walked through my zoo story once more. I created a small title for each page to remind myself of what would be on each page of the book. I noticed that as she talked, it helped to take notes. So I scribbled down some last minute thoughts at the end of the page as you can see. For me, it helped to start with the final picture in mind. I didn't want to feel lost in this creative tunnel. I wanted to know where this was going to take me. Just remember, the tunnel can lead you on different paths. Follow what feels comfortable. Work should be enjoyable not a chore. On my second day with Saira, I focused on the outcome. What am I going to get from this internship? How can I learn and use this? Most importantly, what can I create to show my school what I learned? We came up with a couple of ideas on how we could move some existing books-in-progress along. During one of our get-to-know-me sessions, we shared some personal stories. One that really stuck out to Saira was my zoo story. I was shocked. My silly story was interesting? To me, it seemed so ordinary and boring. "Why don't you make a book? One good way to learn the process is for you to experience it yourself." Saira said. That stuck out to me. That moment felt surreal. Me? Create a book? A 16-year-old high school student? Questions flooded my mind. Who would want to read something I wrote? I'm not interesting. What would my book even be about? How do I start one? Saira sensed my confusion. She chuckled. 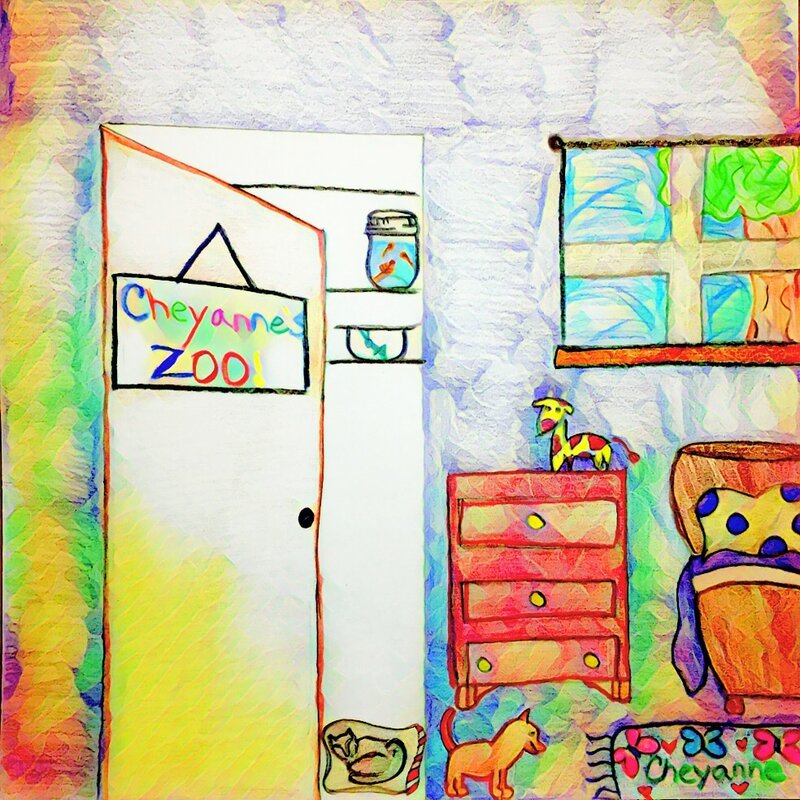 "Your zoo story. The one you told me the other day. That would make a great book for children." She explained. I was starstruck. I was excited and so nervous. This is something I've always dreamed of and imagined. I never thought it would be a real experience. I get to write my own book! Nervously, I agreed. This was outside of my comfort zone. To be quite honest, I didn't think I had it in me. I was not an english major nor a popular adult author. I was just a normal teenage girl. Now, I'm a teenage girl writing a book. Saying that out loud made my stomach have butterflies. day one: My first day! My first day was very relaxing. We went over Saira's accomplishments as an author. She is such a busy bee! With multiple projects in the making and great ones already published. The day was full of laughter, stories, and playful ideas. I shared some stories from my childhood years and she did as well. She really enjoyed one of my stories about a zoo. She asked questions and seemed very interested in me. I felt happy. I started editing a couple of her projects as we chatted. She continued to work on some of her pieces and showed me more accomplishments. We discussed marketing, editing, website design, and software. I was shown some of her extensive research that she did before creating her books. This gave me an idea about how much really goes into writing a book. 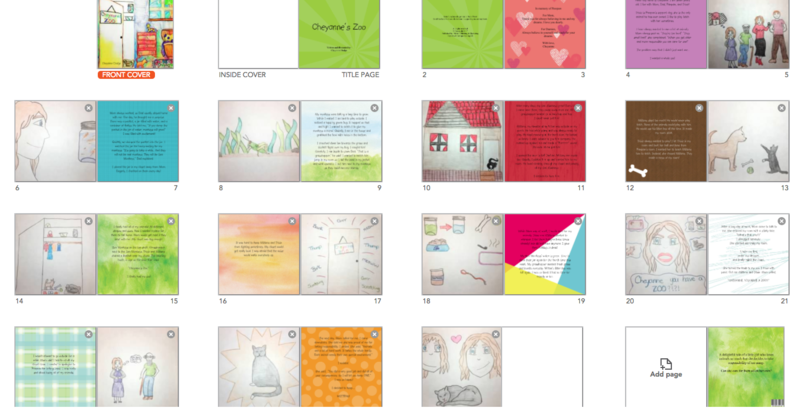 Not only does she write her own books; she also publishes, edits, and illustrates for them. I gave her feedback on a couple of ideas she had in mind and she loved it! Today was very successful. 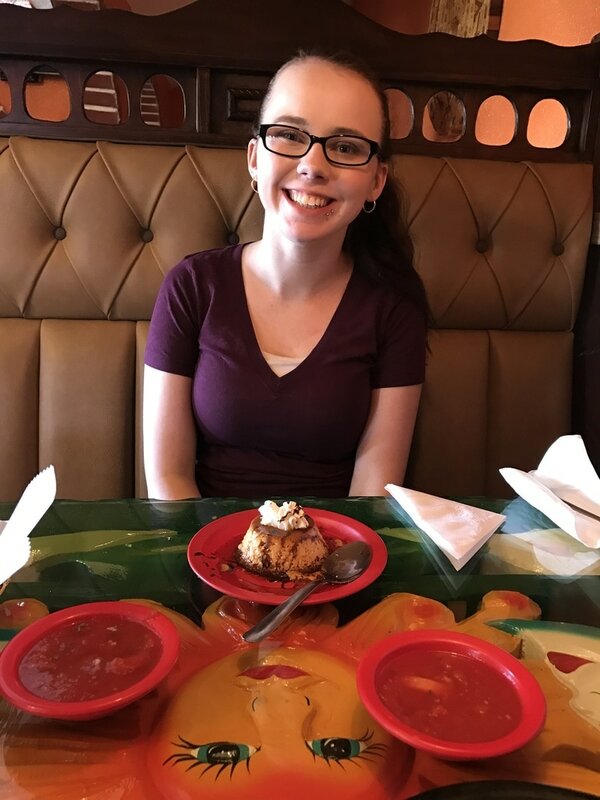 Introducing ... our amazing new intern, Cheyanne Dodge! 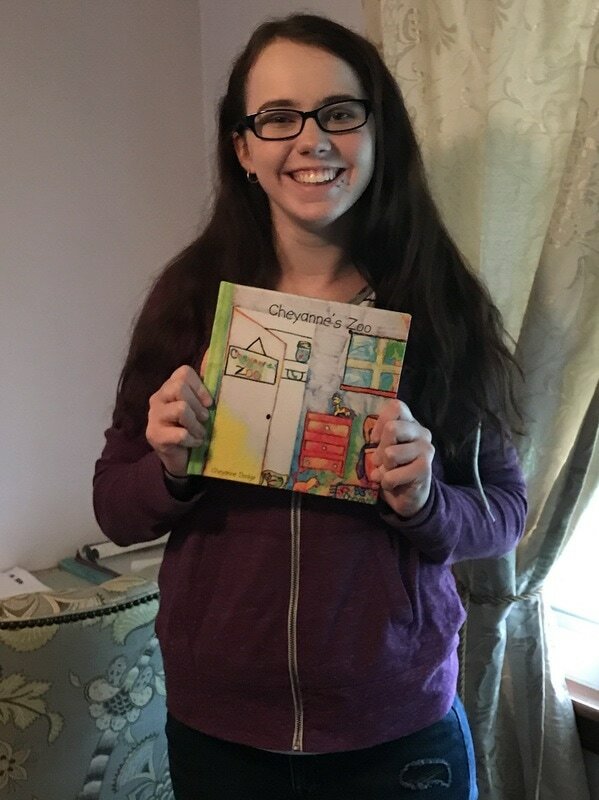 Cheyanne has tasked herself with the project of writing and illustrating her own children's book. 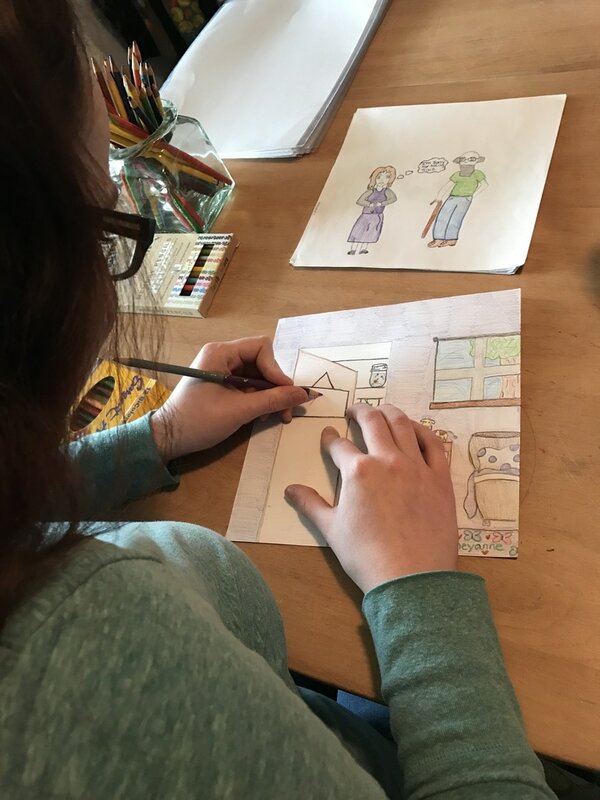 She is drawing from a story in her childhood. She is also chronicling her journey on this blog. Let's hear straight from her how the process is going! Take it away, Cheyanne! Dear Reader: You may have to scroll to bottom if you want to read the events in chronological order.